Death… Now not as deadly! Found these in a vending machine at a client site next to the “Big Az Burger”. After eating these in the car (thankfully with a drink) I can say I don’t want to know what the hotter version tastes like. I’m glad these were the “medium” flavor. 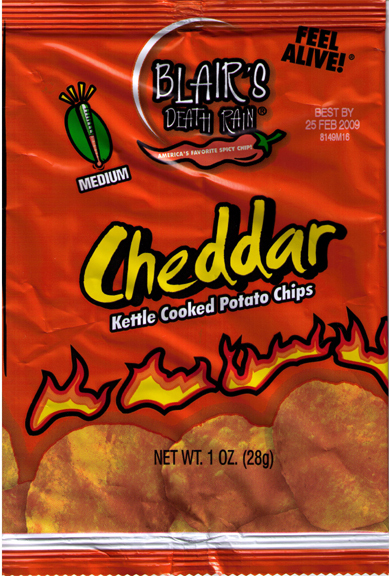 These things were HOT (but tasty as well)! Previous Previous post: FitBit – This Tiny Thing is Going to Be Huge!